The annual refresher provides qualified first aiders an opportunity to update and refresh their skills. This 3 hour refresher session is ideal for first aiders in all environments. The 3 hour session is delivered by one of our experienced trainers at a time to suit you. The course covers the most effective treatments for injuries, recapping on the skills that you learnt on your original training course. With your group, you will discuss the responsibility that you hold as a first aider and the relevant laws which you need to follow. Practical demonstrations and exercises are covered in the training session so that you have experience and are prepared for the various different medical situations that you may face. To refresh the delegate’s knowledge and understanding of first aid at work to ensure they are able to deliver effective medical treatment. 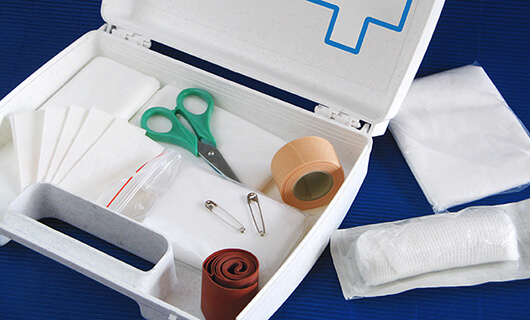 This course is designed for anyone holding a current Emergency First Aid at Work or First Aid at Work certificate. There must be a minimum of 8 people for this course to run. Contact us on 01772 433080 or via email at info@centaurtraining.co.uk to make an enquiry or to book.